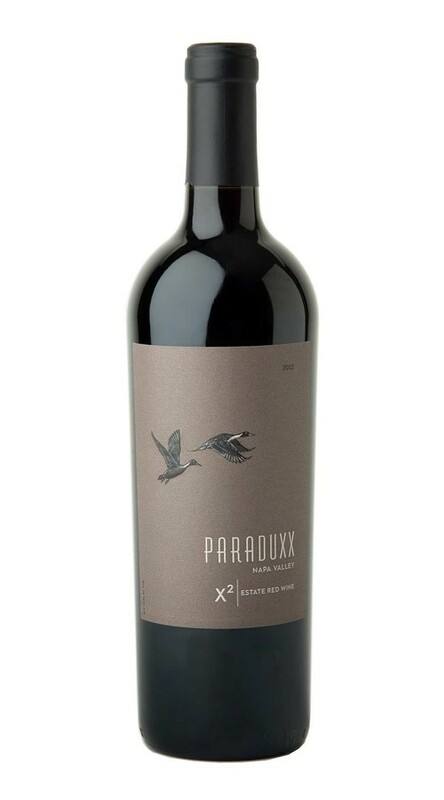 Since 1994, Paraduxx has set the standard for stylish Napa Valley blends. Crafted for the modern palate, these visionary wines have established a reputation for their boldness, character and complexity. Building on this innovative history, X2 (pronounced "X squared") represents an exponential expression of our Paraduxx style, and the pinnacle of our portfolio. A block and barrel selection of our finest estate grapes, it balances the depth and structure of mountain grapes with the lush vibrancy of valley floor fruit. This wine begins with a rich an alluring nose dominated by intense layers of black cherry, baking spice and violets. On the supple, velvety palate, flavors of dark plum, currant, blueberry, black pepper and mocha glide across seamlessly integrated tannins. The flavors linger for an eternity on a beautifully polished and thought-provoking finish. The 2012 growing season offered near-perfect growing conditions; though budbreak was late due to heavy spring rains, warm weather during bloom allowed the vines to set a large crop. Increased yields were the result of more berries, not larger berries, which translated into even higher quality in the winery, as the skin-to-juice ratio remained ideal. Slightly cooler-than-average post-veraison weather and a lack of any heat events allowed for greatly extended hang time. Harvest was 2-3 weeks later than average, and the grapes arrived at the winery in pristine condition. There needs to be a higher rating for this wine!!!! Excellent doesn't do it justice. I tasted the "discussion" at the Duckhorn winery and thought I was in heaven.....then I tasted X2 and was amazed that a blend could compete with it. "TL" knocks this out of the park with this creation!